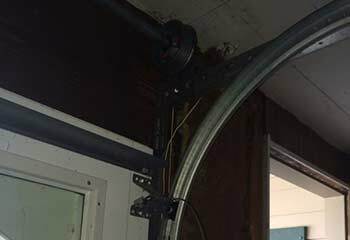 Discover a selection of our most recent garage door projects showing how we help our customers solve problems and make improvements. As an experienced provider of repair and replacement services, our company always has the right solution and provides it fast. Our Solution: We carefully removed the leftover parts of the damaged spring and then set up a new one in its place. 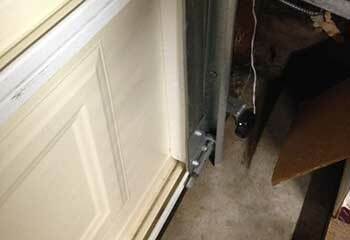 We adjusted the tension and made sure the door opened quietly and evenly. Customer Issue: Door won't open. 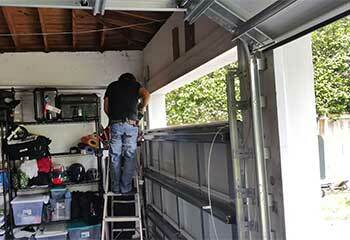 Our Solution: Our technicians ruled out the springs as potential culprits and started inspecting the opener. We checked the wiring and the motor gear, as well as the safety sensors. The issue turned out to be that the photo-electric eyes have become misaligned, so we carefully repositioned them and then made sure the door had no trouble opening again. 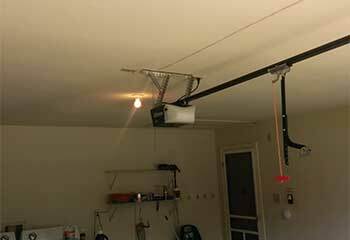 Customer Issue: Garage door cable installation. 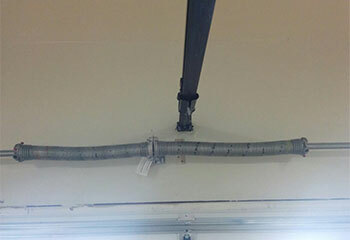 Our Solution: We installed the cables Clark had purchased, ensuring they were the right fit for his system. Customer Issue: Old and broken panel replacement. Our Solution: We brought Roy a selection of option and were able to install a new set that was exactly what he had in mind. Customer Issue: Opener repair (battery replacement). Our Solution: We changed the Chamberlain PD612EV standard battery for an updated Chamberlain model.